As the Meaford International Film Festival (MIFF) approaches – it kicks off next Thursday, folks – the producers have announced a series of interviews which will round out the screenings of three of the films. Christopher Thomas, popular host of CBC radio and television programs, will take the stage after the screenings for these interviews. Following Thursday’s premiere Canadian screening of The White Meadows, Thomas will be interview Marina Nemat, the well-known author of two books about her experiences in prison in Tehran, where she was sentenced to death for her political actions. 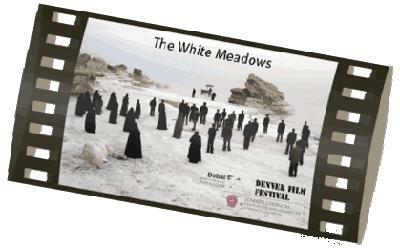 The Iranian film makers of The White Meadows are currently under house arrest in Iran, and Nemat will shed light on why this film is so threatening to the current regime. On Friday, Mila Aung-Thwin, one of the Canadian producers of Last Train Home, will discuss his film, the changes sweeping China and the special challenges of making films there. On Saturday, MIFF presents an interview with Justin Chadwick, the director of The First Grader (and The Other Boleyn Girl). He’ll discuss the background to the film, and the difficulties he encountered when filming in a remote part of Kenya. His name was Joe. He was a sandy-haired mongrel who’d been cruelly abused by his master, and lost his ears and tail to a butcher knife. Weak and wary, he wandered the leafy streets of Meaford into the hearts of millions around the world. Back in 1893, the plight of the mutt sparked the anger and imagination of a young author visiting Meaford’s Moore family, who had rescued Joe from his owner in a neighbouring village. 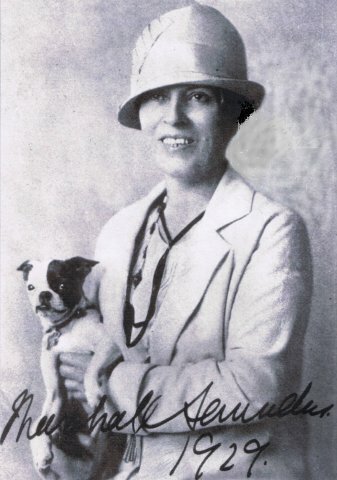 Marshall Saunders helped nurse the dog’s wounds and fear, and worked out her own outrage by writing of his plight, a manuscript she called “Beautiful Joe”. The next year, Saunders entered the book in an American Humane Educational Society contest to find a sequel to “Black Beauty”. Her story of the Meaford dog’s life and rescue won the prize and publication in 1894, and went on to become an international best-seller of more than 6 million copies in 14 languages. In 1963, former Mayor Frank Garvey and his wife, Judy, came across an old marker for Joe’s grave near the Bighead River, and the couple spearheaded an effort to create Beautiful Joe Park in the plot of land across the river from their home at the end of Cook Street. 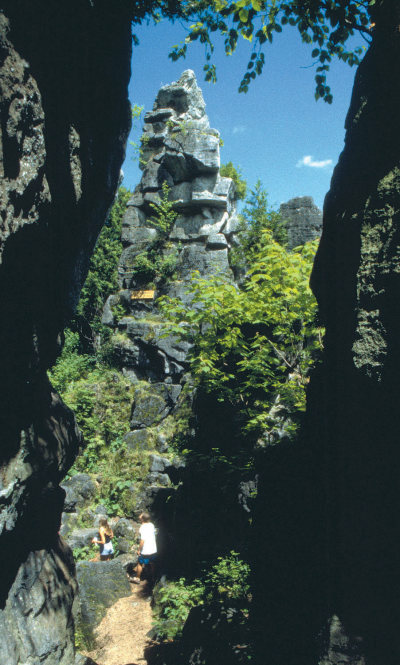 Thirty years later, Beautiful Joe again took a place of prominence in Meaford, when a local group realized he might be yet another attraction to this beautiful, historical town. When the Canadian publisher told the newly established Beautiful Joe Heritage Society it had no plans to reissue the book, but the Society was welcome to publish it, the group pulled off an astonishing feat. Using a 1930s edition as the master copy, they republished “Beautiful Joe” within a week, just in time for the celebration of the 100th anniversary of the book’s publication. 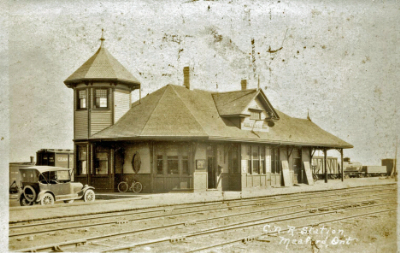 (The new edition explained Meaford’s place in Beautiful Joe’s life, as Saunders had changed the story’s location to a town in Maine in order to increase her chances at winning the contest and at American publication.) That same summer, Meafordites enjoyed a locally-produced play called “Beautiful Joe – A Dog’s Life” at the Meaford Opera House (now Meaford Hall). 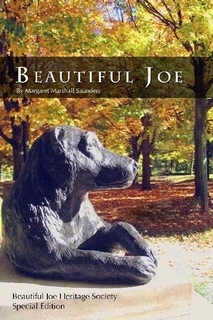 In the years since, the group has continued to promote Joe (as well as the humane treatment of animals and the recognition of heroic and outstanding canines), and the park now includes a cast sculpture of Beautiful Joe, landscaping around the dog’s gravesite, a Memorial Pavilion bearing plaques to beloved pets, and a monument to K-9 officers and their handlers who lost their lives on September 11. Next month will see Beautiful Joe’s Autumn Adventure return to the park with dog-related events and activities, and a new Beautiful Joe play is in the works. 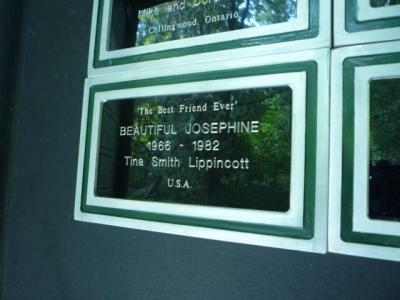 Beside the main entrance to Beautiful Joe Park, you’ll see a pink frame house. This is the former Moore home, and the place where Joe lived out his years. Visit the Beautiful Joe Heritage Society to find out a whole lot more. Meaford Haven Creative Director Paul Grissom has an interesting article on 50plus.com, in which he describes the three seasons of retirement as characterized by passion, romance and repose. “We call the seasons, ‘Passion’, when we are in our 50s and starting to think about what’s next; ‘Romance, whatever age we happen to be when we begin to slow down; and ‘Repose’, when we begin to require assistance to carry out our daily lives,” he writes. He describes the first stage as a time in which we move from “the life we’ve always lived to a life we’d prefer to live,” and seek out the best possible place for that to happen. By the “Romance” season, we’re still very active – but more fully involved with the community and seeking like-minded people. “The promise of finding a peer group in a supportive community with enough of the amenities we’ve always enjoyed will figure greatly in our decision,” writes Paul. This is just a summary of Paul’s enlightening article. Read the full version here, and feel free to share your thoughts in the comment section. Make sure to check out today’s Toronto Star. Meaford Haven is featured in an article by Roberta Avery, a long time Meaford resident who writes on real estate (among other topics) for the paper. 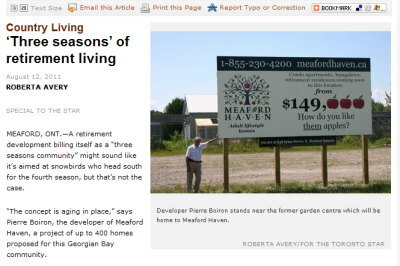 The article introduces developer Pierre Boiron and describes his vision of Meaford Haven as a Three Seasons Community. “Boiron wants to create a community with a culture of caring for its members. The idea is to attract retirees who will first live in the cluster bungalows and then move to a condominium apartment, where more services are available, as they age. Then, at the stage Boiron calls ‘repose,’ they will go to a full-service retirement residence — all in the same development,” writes Roberta. She also describes how Pierre decided that Meaford was the perfect place to realize his vision. “I realized that developers had been passing Meaford by,” he told Roberta. 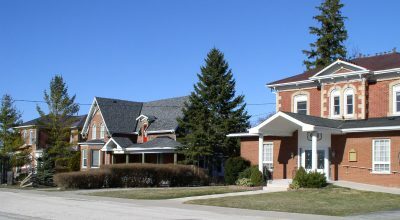 While Meaford is situated right on Georgian Bay with a beautiful harbour and a mere 20-minute drive from Blue Mountain ski resort, it retains its traditional small town charm. Paul Grissom, Creative Director for Meaford Haven, was in town yesterday to meet with representatives of the Meaford and District Chamber of Commerce, business people, and representatives from Meaford Council and the municipality. After mingling with guests, Paul made a presentation in which he discussed the marketing of Meaford Haven, and he noted that number one on most people’s list when searching for a retirement community is location. 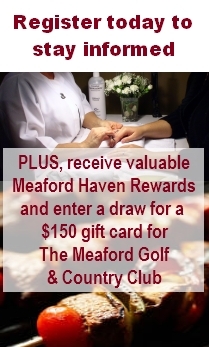 If you’ve dipped into this blog now and then, you know that Meaford’s got that sewn up. The first season, which Paul called the “current darling of marketers”, includes the Boomer-Zoomers, 50-plus retirees who are looking for an active lifestyle, with plenty of healthy outdoor pursuits and involvement in the local community. 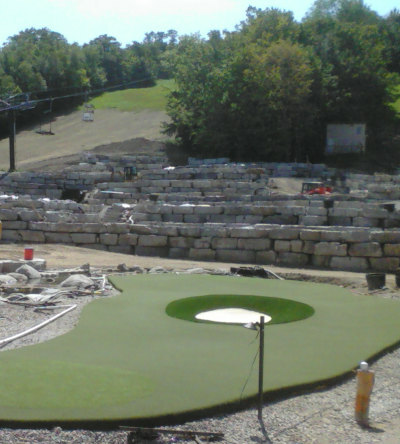 Meaford Haven’s location and the wealth of surrounding recreational opportunities positions this community nicely for this group. But how Meaford Haven caters to the third season is probably Meaford Haven’s major point of difference, said Paul. “It serves an area that’s overlooked. Before society institutionalized aging it was taken for granted that we would all look after the elders in our community and help them to grow old among their friends. And we expected the same for ourselves. “Today’s culture has forgotten how to do this. We take the elderly away from everyone when they begin to need assistance and put them in a home somewhere across town. This only happens to about four percent of us, but why should it happen at all? Why should anyone have to leave the people and the place they’ve invested their lives in just because they can’t do for themselves anymore? Meaford Haven is a community for all three seasons, he concluded. “It’s in a beautiful area that’s loved as a vacation playground, and for its gentler way of life. It’s going to be social, by design. Homes will cluster around a community center. There will be a medical facility – a building made to accommodate doctors offices, dentists, yoga, physiotherapy, plus hair salon, cleaners, maybe a convenience store and a coffee shop. This will be right on the site with easy access for all. And there will be an assisted living residence right on site as well.